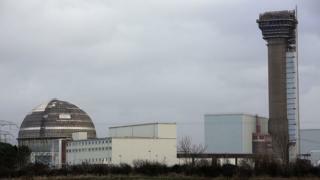 Planned strikes by firefighters at the Sellafield nuclear site have been suspended while they consider a new pay offer. Members of the GMB union were due to walk out for 24 hours on 24 and 31 July. The organisation argued the firefighters had been "underpaid for many years" and were doing work above their job role and grade. Sellafield Ltd previously said it was committed to resolving the dispute. The firefighters have been working beyond their grade in safety and emergency work such as carrying out paramedic work while their pay had fallen behind inflation, the GMB said. Sellafield Ltd said they were paid more than their civil equivalents around the UK and had a shift allowance, where civil firefighters did not. Senior organiser Chris Jukes said: "Last-ditch talks this morning with Sellafield Ltd led to an improved offer being tabled by the company which will now be put to GMB members. "GMB will now ballot members on the new deal as soon as possible." The union represents 63 firefighters at the Cumbrian site.